My name is Adam. I am writing to complain about a problem I encountered recently with my motorbike, a BMW S1000XR. The ends of the HP footrest system (BMW PART NUMBER: 77 25 8 553 930 and 77 25 8 553 929) on my bike have fallen off while riding my bike (I will enclose diagrams of the system and indicate the parts that were lost and need to be replaced, and I will also enclose photographs of my bike to show where the missing parts are), so I went to one of your BMW services in Dorchester, where I got told that I will need to buy the whole HP footrest system, even though my HP footrest system works fine and I am only missing 1 small part on each side. The people there told me that the HP footrest system costs £303 each, which is a price that I am not willing to pay for a small part which is worth probably around £10 out of the whole system. Another problem I have with this is that the parts can be taken off the system, which was evidently shown by them falling off my bike, so I do not see why they should not be sold separately, instead of as part of the whole footrest system. 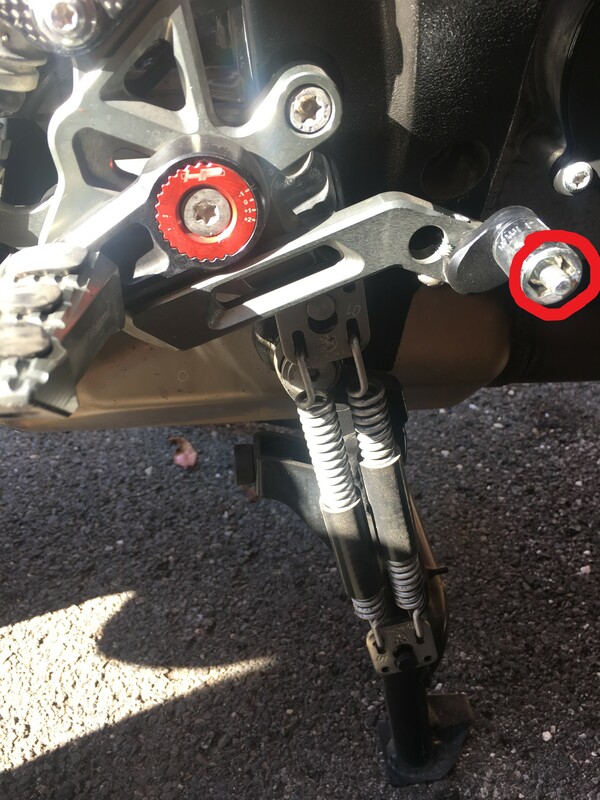 In order to rectify the problem, I would like you to indicate a way for me to be able to buy these little parts for my bike without having to purchase the whole HP footrest system, because I am really not willing to pay £606 for 2 very small parts to my motorbike. Could you find out for me please who produces these parts for BMW and then I will try to contact him directly? As I said before, I will enclose documents showing my motorbike and its missing parts, and diagrams showing which parts of the footrest system are missing. Ok you need the parts, but how did both sides fall off when riding ? The black plastic bit on the gear side seems broken to be honest, and the complaint should be directed to BMW itself and not the forum I think. First off, welcome to the forum. How old is you bike? Is ti still under warranty? How old are the HP rear sets and were they fitted buy a BMW tech?? 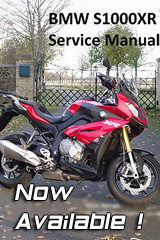 I also think your first port of call should be BMW for a warranty claim, maybe to the dealers that you purchased the bike from would be better? Failing that, I also think that Gilles Tooling should be able to sell you individual parts. Though I still think if they 'just fell off' then this is either a manufacturing or installation error. I reckon the socket looks better. My XR is 2016 and just after warranty. The first one I lost during a normal Saturday ride, and as it was the one from the gearshift lever, on the road I just put it from the brake lever to the other side and probably did not tighten it enough, because after a few miles I lost the other one too. Thank you for the hint of Gilles Tooling, I found a system like mine on their website. I have written a question about the missing parts and I am waiting for a response. Thank you so much ones again. Betreff: My name is Adam. 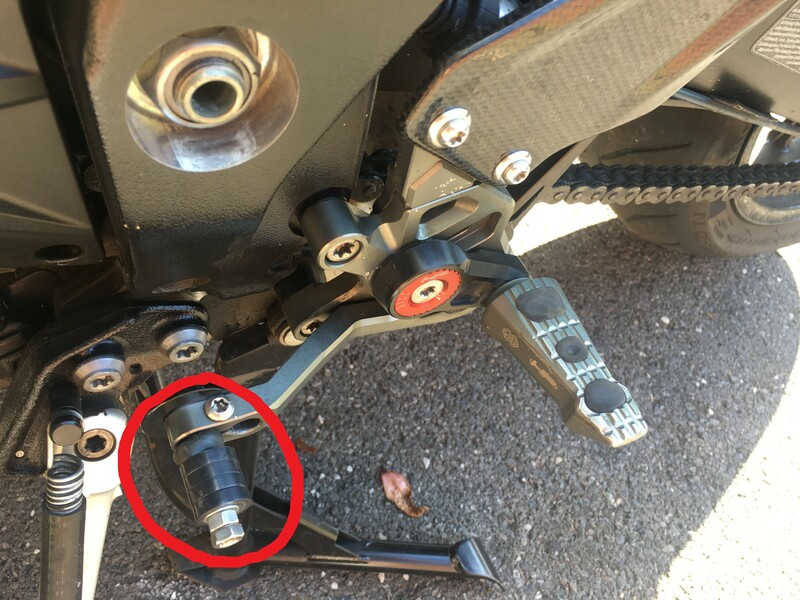 I am writing to complain about a problem I encountered recently with my motorbike, a BMW S1000XR 2016 The ends of the HP footrest system (BMW PART NUMBER: 77 25 8 553 930 and 77 25 8 553 929) on my bike have fallen off while riding my bike (I will enclose diagrams of the system and indicate the parts that were lost and need to be replaced, and I will also enclose photographs of my bike to show where the missing parts are), so I went to one of BMW services in Dorchester, where I got told that I will need to buy the whole HP footrest system, even though my HP footrest system works fine and I am only missing 1 small part on each side. The people there told me that the HP footrest system costs £303 each, which is a price that I am not willing to pay for a small part which is worth probably around £10-20 out of the whole system. We are the official importer and distributor of all Gilles products here in the U.K. and offer a full product support and spare parts service. 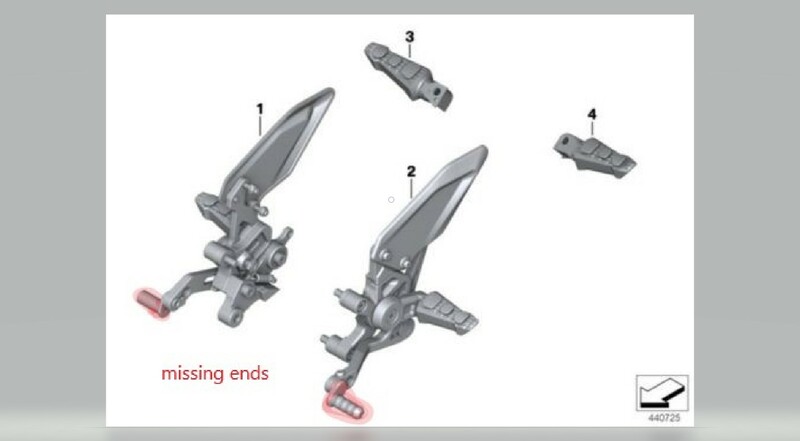 Thank you for including the images, from this I have identified your missing parts and the good news is we currently have all of your required items in stock ready for same day despatch. If you would like to place these items on order then please contact our sales department with the above part numbers on 01327 706139 and a member of our team will be able to assist you. I cite the entire email with the address and telephone numbers, because it may be useful to someone in the future. My ordered missing parts including bolts are already on my way. Thank you so much guys for your help.